We are delighted to have your child at DELTA, and we want his or her elementary experience here to be as rich and exciting as possible. You are a key part of the support system for your child’s class each year. Offering your time and talents as a parent volunteer is a wonderful way to provide enrichment and also keep involved in and be informed of, happenings in and around our school community. Attend monthly PA Meetings, become a PA member, SLT member, Class Parent, Recess and Lunch Monitors, Video, Photography, Crafts Person, Fundraising, Grant Writing, Volunteer Coordination, Office help, etc. All classes have a class parent who acts as liaisons between the administration, teacher and parent group to streamline communications, organize class activities such as seasonal celebrations and arrange and coordinate field trip chaperones and much more. You will be asked at the beginning of every school if you’d like to be considered for this role. If you’re wondering how to get involved with your child’s education at DELTA, the classroom is a great place to start. During the school year, our Parent Coordinator and your child’s teacher may invite parent volunteers to come into the classroom to read to the children, talk about their jobs or hobbies and share aspects of their culture /country of origin. We also ask you to let us know if there are particular interests you have within the school and areas of expertise you posses that may be useful to our school and students. 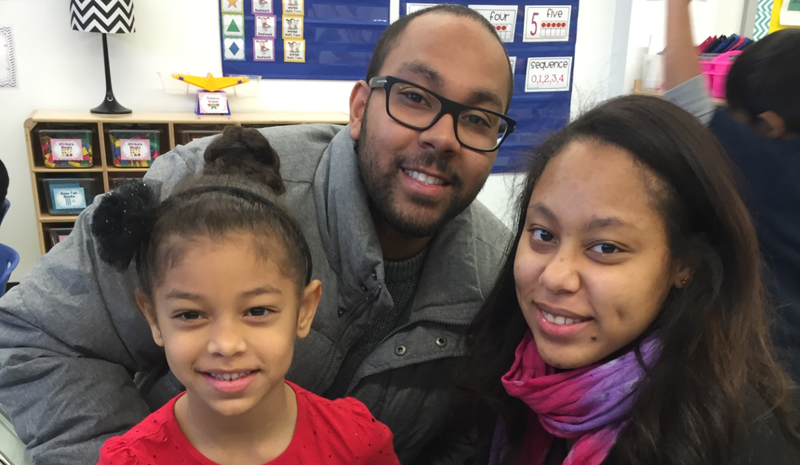 The DELTA PA is an independent body that is open to all parents of children who attend PS 392. The PA is an advocate for children’s needs as it assists them in reaching their full potential. Every DOE school is required to have an active and running PTO/ PA/ PTA. This PA is governed by specific DOE Chancellor’s Regulations that are found on the DOE’s website. Membership: Since you already have a child enrolled in DELTA, you are a member of the PA with voting privileges. We welcome and expect your participation at monthly meetings and events. There are many ways to get involved whether you choose to chair a committee or serve on one, attend meetings and participate in brainstorming discussions, volunteer in a classroom, become a Learning Leader, stuff envelopes for mailing, help organize a fundraiser or serve on our school’s School Leadership Team (SLT), your time and effort help make DELTA a better place to learn and grow. Meetings: The PA meets monthly, and meeting are generally held in the evening in the school Library. A few times a year a PA may be held during school hours. Check your child’s backpack for meeting announcements. If you have a new item for inclusion in the agenda, please speak to the DELTA PA President. The SLT is comprised of 50% parent and 50% staff volunteers. It is a DOE mandated advisory body in which parents, teachers and the principal meet to offer input that allows the principal to make consensus-informed on matter including curriculum, school priorities and budget allocation. The SLT decided members will commit to a year long term. An election is held in the spring to decide who the participating members will be for the upcoming school year. The team meets once a month to discuss school issues and share ideas. The SLT responsibilities include developing an annual Comprehensive Education Plan (CEP) that is aligned with the school-based budget. Any parent not on the SLT who is interested in attending a meeting may do so as an observer. For more information, please visit the NYC DOE website. Learning Leaders help strengthen the home/school partnership by volunteering in their school community to provide various types of school-based support and by equipping all parents to foster their own children’s educational development. The presence of Learning Leaders/Volunteers in schools also allows teachers greater instructional flexibility and has been found to positively impact the overall quality of the school environment, including improved attendance, school safety and communication between parents, teachers, and school administration. For more information on how you can become a Learning leader/Volunteer, please contact our Office Staff or visit (www.learningleaders.org).